Jonathan Gross has practiced as a tax and business attorney for more than 30 years. He combines extensive tax and estate planning experience with sophisticated knowledge regarding complex transactions to serve his clients’ personal and business needs. This combination of abilities and practice experience is unique. Jon’s estate planning experience includes counseling individuals, families and their businesses. It includes probate matters, estate administration and designing individualized estate plans, as well as the drafting of Wills, Trusts and other legal documents to effectuate the lifetime and testamentary transfer of assets in a manner that minimizes income, estate and gift taxes for clients and their future family generations. Jon’s business planning experience includes counseling clients with regard to their existing business interests, guiding clients through the formation of new business entities (including corporations, partnerships, joint ventures and limited liability companies) the purchase and sale of business interests and the preparation of shareholder and/or partnership agreements. Jon represents and counsels estates, trusts, beneficiaries and charitable organizations in a variety of related matters, including issues concerning the performance of fiduciaries in the administration of trusts and estates. Jon is a certified public accountant in New York and has extensive experience in counseling clients with regard to their income tax planning. He represents clients before the Internal Revenue Service and state tax agencies. 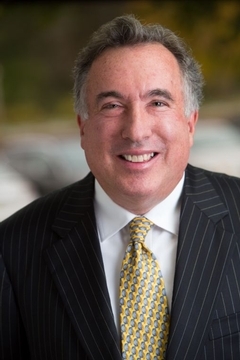 He has acted as general counsel to a number of his corporate clients and has served as special tax counsel in connection with general tax planning, as well as providing expert testimony in litigation matters. The combination of his areas of tax specialty enables him to provide a full range of services for his clients, all at a high level. Jon has written for various professional publications and has lectured to civic and professional groups on various tax-related topics.